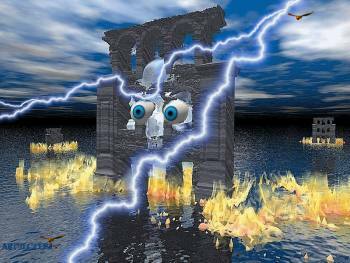 Scarry music enhances this screensaver of appearing skull animations made with Bryce 5 by ART-TLC, copyright. Happy magic spell casting Halloween! Download Free Wallpaper from this screensaver! Screensaver copyright, ART-TLC ©.